Jazz Community Site - Jazz Team Blog » What’s New in IBM Rational Team Concert 6.0? What’s New in IBM Rational Team Concert 6.0? In IBM Rational Team Concert (RTC) 6.0 we have simplified the user experience while adding advanced capabilities. Let’s start with making things easier and more flexible for developers. Keeping teams on track with transparency and visibility is a core tenet of agile and RTC. With RTC 6.0 you can see live team progress directly in RTC Quick Planner. 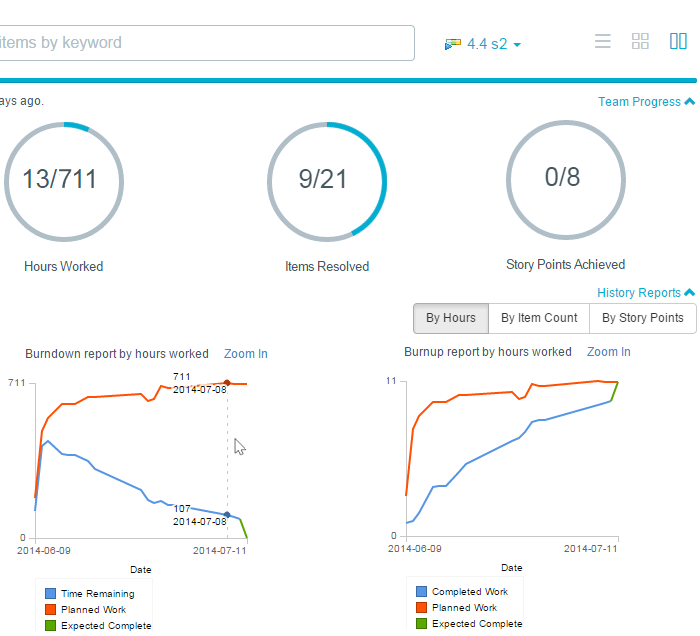 No need to context switch to a dashboard view, just access Burndown or Burnup by story points, or historical velocity while planning a sprint directly from RTC Quick Planner. In today’s IT world, tablets and mobile devices have arrived in the workplace. Is your development tooling enabled for them? Can you do agile planning and comment on work items using touch screen and form factor aware UI architectures? 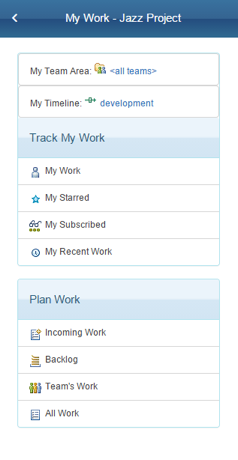 With RTC 6.0 you can run RTC Quick planner on your tablet or mobile device. Enable your mobile work force so they can do agile planning, work item collaboration, and communicate project status with your clients and customers while in the office or on the road. New in RTC 6.0 is a feature that supports the Scaled Agile Framework® (SAFe) out of the box. This feature enables you to explore the framework and establish a SAFe program of your own, complete with the infrastructure, artifacts, best practices, and guidance prescribed by SAFe built right into the tooling. For more details on this capability, see Amy Silberbauer’s SAFe® with the Power of DevOps post. Are you building critical software with complex dependencies that need to be reflected in the component relationships of your code so that you can compare, modify, or reuse those components across teams, apps, or embedded software variants? Are you customizing software for many niche markets in the insurance industry, but all products use a common core set of components? With RTC 6.0 you can now represent those relationships in the way you structure your source code components. You can now use component hierarchies to lay out and organize your source code into logical, nested component structures. Note that this feature is supported in Eclipse and command line clients, but not (yet) in the Visual Studio client. For this reason, we have turned the feature off by default, but it is ready for production use if you don’t have dependencies on mixed Visual Studio development in the same project. You can easily enable it with a check box, and no data migration is required to start using it. Protecting your company’s intellectual property is a key reason that companies rely on a platform-based solution with a common authentication interface and security infrastructure, instead of a myriad of point products each with their own security models and points of potential vulnerability. In RTC 6.0 we’ve enhanced our support for highly secure authentication models such as Kerberos and industry standard single sign-on capability. If Kerberos security and the simplification provided by single sign-on are important to you, then don’t miss John Vasta’s post on the subject. There is so much more in RTC 6.0, such as major improvements in performance of plan loading, support for hierarchical ranking, custom attributes on SCM baselines, streams and snapshots, and much, much more. Also, be sure not to miss Ernest Mah’s reporting in CLM 6.0 post. You can get even more details in the New and Noteworthy for Jazz Foundation and Rational Team Concert. A follow-on post focusing on the enhancements for z System and IBM i users in RTC 6.0 is coming soon. Take RTC 6.0 for a spin and let us know what you think. Note that if you have multiple CLM products, you can move forward incrementally, start by upgrading for JTS and RTC to 6.0 and follow with RQM and/or RDNG. RTC 6.0 will work with RQM and RDNG 5.x. Where can I learn more about how nested components work? @JeffCare I would start with the online help at jazz.net/help-dev which is our online help under development and then I would ask question on the jazz.net/forums.